High heels are a popular fashion trend and because of that we’re finding that women are experiencing difficulties from wearing them. 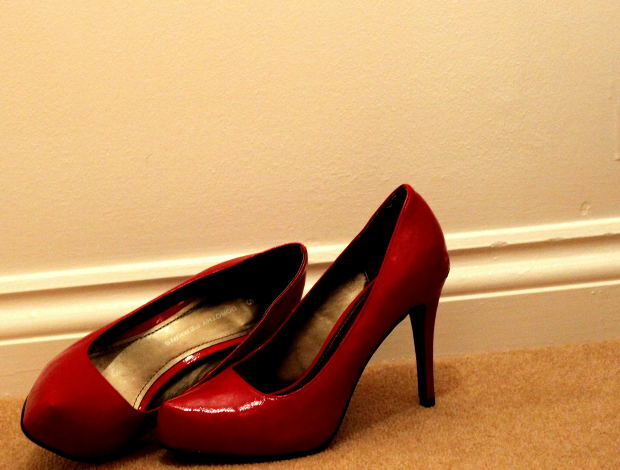 From foot pain to knee problems, hip pain and back problems, high heels can damage many areas of your body. 1. Make sure they’re the correct size. Select the proper shoe size by measuring both of your feet standing up (your feet expand when standing). This will give you a more accurate measurement. Not all shoes are created equal; the same shoe size may be different depending on the manufacturer. So, try different sizes to ensure you find the proper one. It’s important to choose a heel height of no more than 2 inches so you can walk gracefully. It’s a good, compromised height that will still support your arch. To maximize stability, choose a heel with a narrow silhouette and broader base. Shoes like stilettos provide very little support. Try to avoid buying a recessed heel as it is very unstable (when the heel is indented from the back of the shoe). Ensure your shoes have good support for the arches of your feet. If not, arch support can be used in a closed shoe or if necessary, an orthotic. 3. Pay attention to material and design. The material you choose makes a difference. Leather or nylon-mesh allow for more breathing and are highly recommended. Avoid shoes with thin straps as they can dig into your skin causing you pain and swelling. 4. Test them before you buy them. Walk around with both shoes on to see how your feet feel. Avoid buying shoes that you feel a need to “break in.” Shoes should be comfortable right away. The best shoes for your body are relatively flat, supportive shoes. However, there are times when high heels are desired. For your health, be careful of the risks of wearing high heels and choose wisely next time you’re shoe shopping.